Famous for being the birthplace of two great painters, Giotto and Beato Angelico, Vicchio is also worth a visit for its local restaurant La Casa del Prosciutto, which sits overlooking a bridge. In Borgo San Lorenzo, Chini still produces handcrafted ceramics, and the company’s history is retold in the Ceramic Museum, and in Santa Maria Maggiore you can visit the wine producers, the Frescobaldi family, for tastings and to buy products directly. 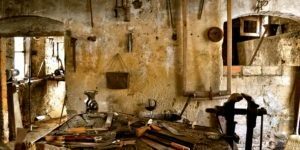 Then there’s Scarperia, not only home to motor racing with the Mugello Circuit, but also famous for the Museum of Cutting Tools and for the craftsmen that still produce them by hand. Before getting to Bilancino Lake with its resorts and water sports and to the Barberino del Mugello outlet, a destination for Italian fashion-lovers, we suggest visiting Trebbio Castle in San Piero a Sieve. 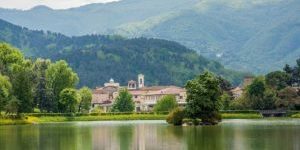 We recommend spending a day visiting Lower Mugello, which Sabrina at reception can help you plan. Rooms and apartments in Tuscany. 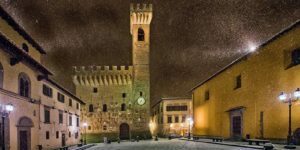 Just a stone´s throw from Florence there´s a place in Tuscany where nature expresses its beauty to the full and the passing of time is still marked by four seasons. 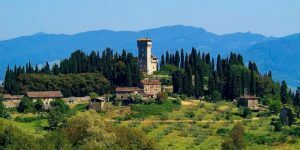 Here the inhabitants are nature´s guests and tourists are made welcome by the kindness and friendliness that sets the Tuscan people apart. The symbiosis between nature and man has produced top quality food, wine and hospitality. This paradise can be found in Mugello, and Gli Orzali is a perfect reflection of what the area has offer.